In 1885, the polymath Edward Heron-Allen studied violin making with the noted maker Georges Chanot in order to write his book 'Violin Making as it Was and Is'. Incredibly, this work is still in print. 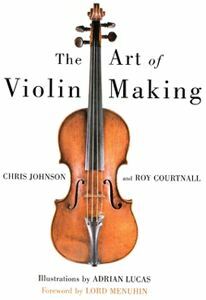 Since the appearance of this book, there has been no serious attempt to produce a comprehensive, step by step guide to violin making. 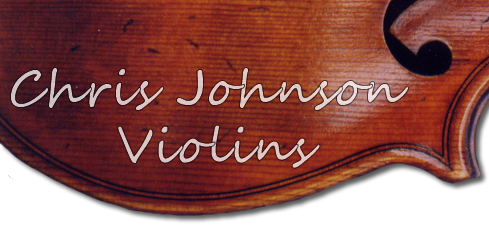 In 1995, Chris Johnson set out with co-author Roy Courtnall to write a new book, based closely on the methods taught at the Newark School of Violin Making. After hundreds of hours of writing, researching and rewriting, taking photographs and making drawings, they realised why 100 years had passed without anyone making such a book. Their book was published in 1999, and has since had some very nice feedback from readers. They were honoured to have had a foreword from the late Yehudi Menuhin, an extract of which appears below. "Exhaustive in its detailed exposition of the actual process of construction (and beautifully illustrated).....it carries the inspiration and the authority of that commitment to perfection, which is the supreme beauty of sound, aspect and touch of a violin". The book includes biographies of some of the great makers of the past, some bios of current makers connected with Newark, a chapter on tools and equipment and of course a detailed guide to the process of making. There is also a very useful guide to setting-up by Gerald Botteley, a man with over 50 years experience in this art. The book is now in its 3rd edition and is available through the publishers, Robert Hale Ltd., or from an online bookshop such as Amazon.